ATLANTA, GEORGIA—DragonCon, the annual convention featuring science fiction, comic books and cosplay, had an unexpected visitor this year. The spokesman for Dos Equis beer, known as The Most Interesting Man in the World, made an appearance during the second day of the event, posing for pictures and signing autographs. Apparently the random appearance gave guests a more authentic look at the man normally admired for his impressive life and smooth demeanor. 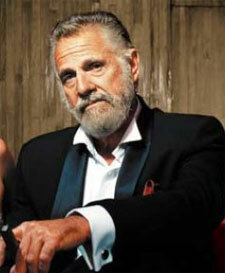 Several accounts suggest that The Most Interesting Man in the World might also be the most douchy man in the world. The Most Interesting Man in the World wasn't as impressed. Next: Justin Bieber to Revive ABC’s After School Special?